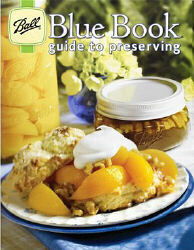 A wonderful reference book for any preserving kitchen with instructions on a varity of preserving techniques. Home canning, freezing and dehydrating made simpler with recipes, lists and charts as well as full color photos to guide novice preservers as well as the more experienced home preserver. This 100th Anniversary Edition is a complete reference to canning and preserving tools and their uses and offers valuable tips for pre preserving planning and altitude adjustments. Canning with pressure canners or water bath canners , vacuum packing or freezing, this book contains answers to the most common home preserving questions and much more.